At the core of Surepoint is a solid formation of values that we all adhere to. Nurturing our culture and staying committed to these values is ingrained into our behavior everyday and the foundation for everything we do: We Care, Live Safe, Honour Integrity, Committed to the Team, and Have Fun. Qualified People with a passion for what they do. At Surepoint Group we are proud to employ a truly dedicated team of employees who care about our clients and each other. The members of our management team provide a depth of industry and operating experience that is fundamental to our success. As a 27-year veteran in the oil and gas industry, Trevor has extensive experience in the instrumentation, electrical and mechanical fields. Initially gaining industry experience as a journeyman instrument mechanic, Trevor joined Surepoint Group in 2003 as a project manager and progressed through multiple leadership roles. He was named Chief Executive Officer in 2013 and is responsible for the strategic direction and operational management of Surepoint. He has a proven track record of maximizing operational efficiencies by focusing on a culture of constant improvement and the highest level of customer satisfaction. "At Surepoint, our culture is based on always doing the right thing and caring. Not surprisingly one of our Core Values and our number one differentiator is "We Care". It’s the folks at Surepoint that make this an awesome company. We have definitely seen our share of personal and professional challenges throughout the years, but the amount of caring, empathy, courage and resilience of the Surepoint team is world class. It’s the way we band together through good and challenging times that make me proud and honored to be a part of this team." Cameron has over 10 years of experience in senior financial roles with public and privately held companies. Over the course of his career, Cameron has worked in public accounting, commercial construction and oil field services. In addition to financial management, Cameron’s experience has spanned business acquisition and integration, strategic business planning and business development. Cameron joined Surepoint Group in 2015 to manage the financial and administration functions. “At Surepoint we are building a culture built on trust and teamwork. Helping our team understand how each person contributes to the success of the team is a passion of mine and something that we work towards every day. I am also passionate about helping individuals and groups within the communities that we operate reach for their own goals whether through financial assistance or some know-how”. Graduating from SAIT in 2001, Martin worked as an automation specialist and instrument technician for four years in Canada and overseas at the beginning of his career. He transitioned to sales in 2005 where he was able utilize his field experience and technical expertise in order to relate with clients better and understand their problems. He worked with some of the best manufacturers within the automation, electrical and instrumentation industry and has extensive experience developing and building specifications at the consultant and end user level. 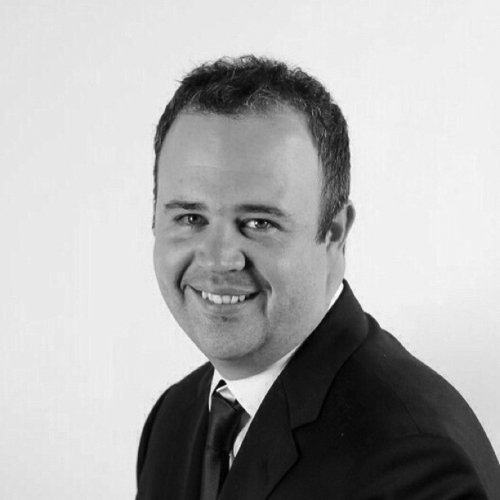 Martin joined Surepoint in 2014 to lead our sales and marketing teams. He’s passionate about customer service, brand marketing, and providing new and innovative solutions to the industry. With 14 years of industry experience Kevin has worked on a variety of projects in the industrial and commercial sector across Western Canada as a Red Seal Journeyman Electrician and ticketed FSR. Kevin joined Surepoint in 2010 and has worked as the BC Operations Manager based out of Fort St. John for the previous seven years before being promoted to General Manager of Field Services in 2017. With a focus on quality, execution, and safety, Kevin has a track record of developing people and creating a team culture always willing to go the extra mile. Originally from Vancouver Island, Kevin resides in Fort St. John with his wife and two children.